I'm very particular when it comes to putting nuts in muffins. It has to be a certain type of muffin in order to have nuts in it - Banana Muffins? Sure Apple Muffins? Only if they're walnuts.... Blueberry Muffins? Don't even think about it. 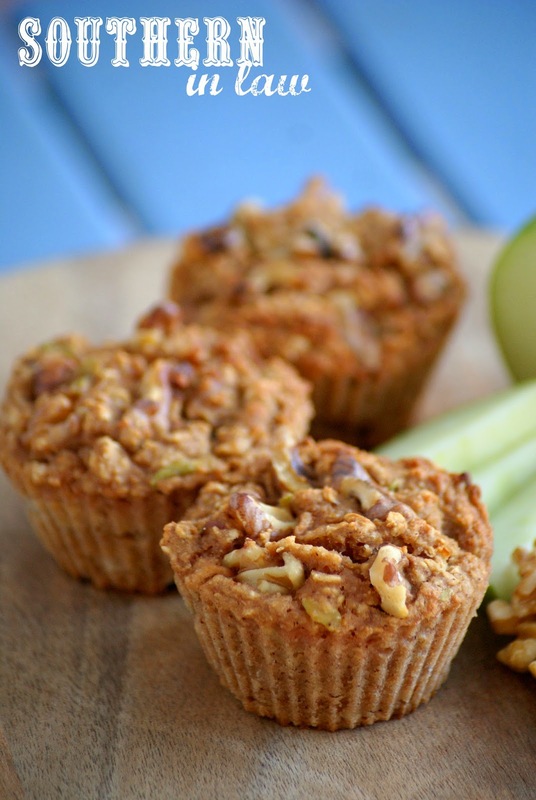 Apples, walnuts and cinnamon are a classic combination in my brain - so I knew I had to come up with the perfect muffin recipe that combines all three. They're moist and delicious, nutty with just the right amount of cinnamon and have the perfect nutty muffin texture thanks to the addition of oats. Grease and/or line a 12 cup muffin tin and set aside. Grate your apple(s) into a medium/large mixing bowl. Add your applesauce, egg whites (or egg), vanilla, honey and cinnamon. Mix in your oats, plain flour, almond meal and baking soda, mixing until just combined. 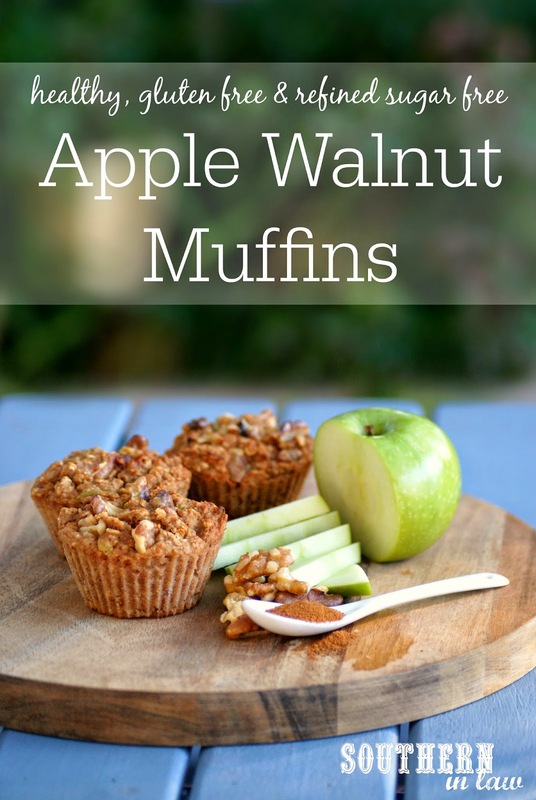 Fold in your walnuts or other mix ins (if using) and spoon your mixture into your muffin tins. Bake for 20-30 minutes, or until cooked through and a skewer inserted removes clean. Keep an eye on them as baking times will differ depending on your muffin size/oven/climate etc. But tell me, nuts in muffins - yay or nay? What's one food that you're really particular about? And are you like me and hate food touching? Or am I totally weird? I love how muffins can essentially become anything you want them to. 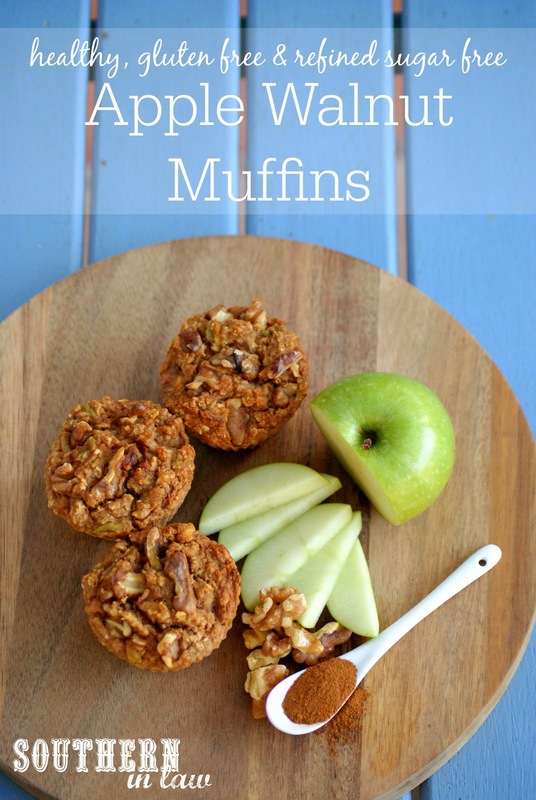 They're so versatile and AMAZING for breakfast or a snack or anytime really. These look so so good. They apple walnut combo is making me crave fall! You are so right - and Apple, Walnut and Cinnamon are totally fall flavours!